The Golden Circle is the best way to see inspired landscapes just a short drive from Reykjavik. Catch the rift between the American and Eurasian plates before heading to hot springs and explosive geysers. 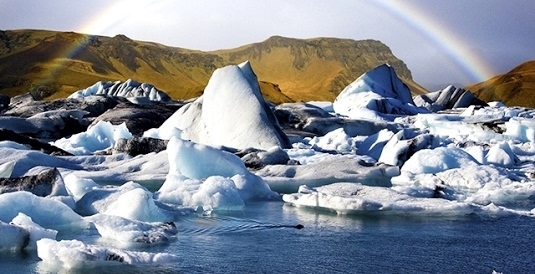 The Golden Circle harbours a diverse and unforgettable collection of natural wonders, completing any stay in Reykjavik. There’s a host of tour operators that offer this service, or you can hire a car and explore this enigmatic landscape in your own time. Though the sights are remarkably diverse, the full tour can be done in a day. The country’s first national park is a beguiling landscape, where the American and Eurasian tectonic plates slowly drift from each other creating vast fissures beset with wild rivers and tumbling waterfalls. 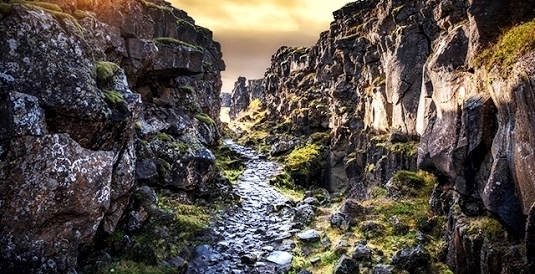 The Vikings also set up the world’s first democratic parliament here in AD 930, the Alþingi, using the acoustic drama of the towering rocks to amplify the speaker. At one of Iceland’s top attractions, the earth smokes tempestuously, before belching forth vast plumes of sulfuric water. Head for the Great Geysir, from which the word derives. Unfortunately activity is rare at this vast pool, but you’re in luck – the nearby Strokkur releases a shoot of water every eight minutes, with an unnerving crack that rings out across this surreal landscape. 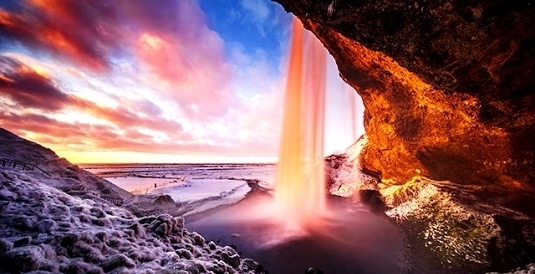 Iceland has a few pretty special waterfalls in its repertoire. Gullfoss is one of the most inspiring – a spellbinding display of wild waters seem to fall into a bottomless crevasse, casting an impenetrable mist high into the air. The scale is vast, the viewpoints epic, and the drama of the scene is sure to enrapture even the most stubborn of visitor. Lose yourself in technicolour wonder. Bright greens contrast against the blood red of this volcanic site, where the ancient caldera is filled with dark waters. Effortlessly photogenic and a true marvel of Iceland’s diverse outdoor pallette. This wonderfully remote local’s spot is a serene idyll, perfect for relaxing the muscles in the warm waters of the hot spring. Originally built as the first public pool in 1897, it lay abandoned from 1948 until a recent restoration. A perfect stop for any Golden Circle tour. 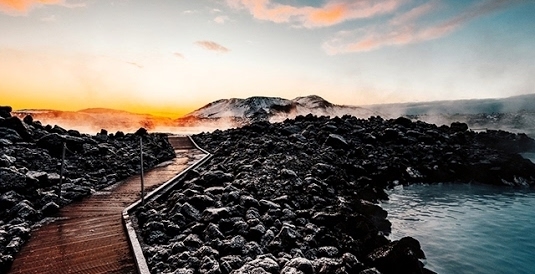 Take a hike along the Hveragerði hot spring trail, through a bubbling landscape that smokes and groans under geothermal pressure. After a brisk hike it’s time to strip down to your undies and dip into the warm hot springs that this area is renowned for. A great way to meet the locals!